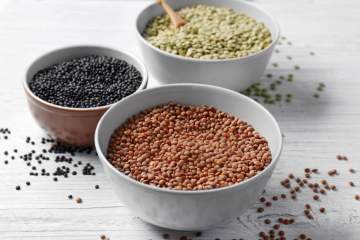 When it comes to legumes, lentils are the easiest to prepare. They don't need to be soaked like most beans and they take less than 30 minutes to cook. They make an amazing meatless main course and can be used in side dishes, salads, soups, sauces, and even desserts. Ready to dig in? Start by trying some of our favorites -Easy Barbecue Lentils, Lentil and Vegetable Stew, and Slow Cooker Tuscan Lentil Sloppy Joes.